This week Peter and Jonathan talk to Tim Berry, founder of Palo Alto Software, about lean business planning, strategy, tactics, specifics, and the forecast. Want to hear about the other “F” word? Listen to episode 8 here. Jonathan: Hey, Peter. We’re really excited today. We have Tim Berry, founder of Palo Alto Software with us. Expert in business planning, here with us today. Peter: Absolutely. Here’s here to talk about the concept of lean planning, which is something that we’ve definitely adopted here at Palo Alto Software. Bplans has lots of great articles about it, some by Tim, some by other folks here at the Bplans team. I think we just want to get a good overview, a good solid foundational understanding of what do we mean when we say lean planning. Even maybe what does the word lean mean in this context? What’s the lean mean? Jonathan: Welcome, Tim. Maybe you can answer that for us. Tim: Yeah. I’m glad to be here. This is exciting. I wish our audience could see all the gadgets and stuff, and the trappings of this. It’s fun to be here. Peter: It’s like a sci-fi studio. Jonathan: They might be horrified. Tim: They’re missing the visual. I apologize for that. No, the visual is terrible. No, never mind. You’re missing nothing. Let’s start with lean. Lean started in the ’30s and ’40s. W. Edwards Deming was the main advocate. An American with a lot of academic credentials who was in Japan at the time. What lean meant initially is try it, test it, and change it, taking small steps along the way. That became lean manufacturing. They also called it the Toyota way, as Toyota went, in the ’50s and ’60s, from, “Oh, look at this, the Japanese have autos, how cute,” to, “Oh my god, they’re way better than ours are. What do we do about it?” That was the first time in business industry setting that you have people talking about lean. From there, in the last 10 years, lean was adapted by Eric Ries in his book The Lean Startup, and Steve Blank, in a lot of subsequent writing about it. Lean was adapted to apply the same sort of take a small step, analyze results, and adapt and change, and keep changing in small steps. Which is the essence of what is now extremely trendy, the lean startup now. Every startup has to be lean. There’s a lot of that mystique that goes along with lean startup. Peter: That’s great. I think that’s good to clarify. I think a lot of people hear lean, and they assume they mean not spending a lot of money, a lean budget, where it’s often used in a budgeting sense. Really this idea of testing, getting that feedback, and looping back, and changing the product, or changing the process, is really interesting. I think, like Tim said, a lot of folks who hear lean, lean startup these days apply it to tech startup, to app development. It’s interesting to know that it started in this manufacturing space. I think some of that really applies to some of our audience, the main street type businesses who might not understand how to apply lean. Let’s talk about that a little more. Can use probably some of the earlier stage ideas even more so than these more app-centric versions of lean. Does that seem right to you? Tim: Absolutely. There’s PDCA that goes back to lean manufacturing 50 years ago: plan, do, check, adjust. PDCA. Then you find that in the lean startup when they talk about the minimum viable product. The idea of small steps is what I’ve taken out of that as I’ve looked at that through the years. Small steps, followed by turn around and look at what you’ve accomplished, analyze results as you take the next step. Peter: It’s funny. It really jabs with my experience too in starting in software. Back when I began, the launch was the big thing. Everyone builds up to launch day, go live day, whatever you call it. Nowadays, it really does seem much more like what you said, where it’s about getting something out, and then getting the feedback, and making that something better. That’s really interesting. I think, again, when we think about a baker, or a frozen dough company like Jonathan wanted to start, you might think about putting two different versions out, an A/B test, as we call it online. A/B test some new cookie you’re trying, two types of sugar in that cookie. See what the feedback is. See how it goes. There’s ways to apply these kinds of philosophies, really, like you said, to almost any type of business out there. It’s just a matter of sometimes being a little more creative. That’s awesome. That’s good overview of lean, what we’re talking about when we say the word lean. How does that apply to the concept of planning then? Because you’ve got lean planning here together? Tim: It’s starts, for me, with the plan should be simple. Just big enough to accomplish its business purpose. Lean comes really into context of keep this plan short, simple, just the basics. Expect to be reviewing results often. Expect that plan to be kept alive by a planning process that includes a monthly review. Because of the way that process works, here it is, 2015, you have to keep it small. You don’t write out what you’re not going to use. You do just the plan that you’re going to use. Review it and revise it often. That, for me, is where lean manufacturing had PDCA, for plan, do, check, adjust. I say for lean business planning, it’s PRRR, for plan, run, review, revise. Peter: Which is easier for you to remember, Jonathan? Peter: Is that going to stay in the show? Jonathan: I don’t know. That’s my only sound that I’ve made so far. Peter: I think we lost 100 listeners just with that one sound. Thanks for that. Great, but very memorable. Jonathan: I’m just hitting a demographic, man, that’s all. Tim: Maybe we just increased our traffic by working in kittens. Peter: That’s a great point. Pictures of kittens. Jonathan: I like Tim on here. He backs me up, he defends me, my choices. It’s a good move. Tim, there’s an article that came across through Forbes this week saying don’t write a business plan. Getting into that idea of starting small, testing, revising. What would you say to people who say, “Even the idea of lean business planning is not necessary. Just get straight into starting it up, and learn as you go.” Why do you still need to plan? They’ll say, “Absolutely.” “What about tactics that match strategy?” They’ll say, “Absolutely.” “What about milestones?” “Oh yeah, you need milestones.” “What about sales and expense forecasts, and doing planned versus actual so you can manage cash flow?” They’re always going to say yes. We get into this strange wonder world of vocabulary, so that if you define business plan as a long, formal, traditional document, that you’re going to spend too long doing and then forget and never look at again, well of course, don’t do a business plan. It’s like if I define regular exercise as waking up one day and running 50 miles, that’s probably not very useful. If I define it like that, well then don’t do it. The don’t do a business plan crowd, they’re defining it in a way that, by their very definition, it’s not useful. Meanwhile, back in the real world, business people who are trying to run a business can get enormous benefit from writing down a few bullet points. “Here’s our focus. Here’s our tactics.” So they see how they match. Then, “Here’s our milestones,” so they work to them. “Here’s our forecast.” Then take a couple of hours a month, and review and revise. Everybody who cares about their business can benefit from that process. Why do we have this thing about don’t do a business plan? Don’t do an obsolete formal business plan that you’re not going to use. Do it small, do it lean, and use it to run your business better. There’s my answer. Peter: That’s great. Yeah, and the pitch episode, our earlier episode where we were talking about this idea of the quick pitch, similar to this lean plan concept. We talked a little bit about using the work that you put into that plan as then a way of managing the business. Whether it’s helping your employees understand their goals as they fit into the larger goals, or talking to strategic partners, or new hires, or potential folks who might want to acquire your business. All these reasons are good to have a plan like this on hand. I think what Tim’s saying here is it’s not just financials, this is some text elements, this is some bullet points, some thinking elements as well. It’s a fairly robust unit, a fairly robust plan document at the same time, as it is a lean element. Jonathan, maybe we can share what a good outline looks like, or what some of the most critical components are in a link or a clickable link. How do you guys do this on the internet? Jonathan: We tell people to go to a link, and then they have to go to it. They have to type it in. Peter: Then I email them a PDF. Jonathan: We’ll have show notes that people can see through iTunes, or on SoundCloud, or even on Bplans.com. In those, we can link to a free Bplans resource called The One Page Business Pitch Template. You can download that. That really encourages you to get your business ideas down on one page, do those bullet points in that lean model. Peter: I feel good about that. Me and Tim will build a HyperCard deck, and we’ll email it out to everyone who needs a copy. Jonathan: I don’t think that’s at all what I said. Peter: Are you too young for a HyperCard deck? Peter: Jonathan, thanks for the links. I’m sure users will get out there and download some of those files. 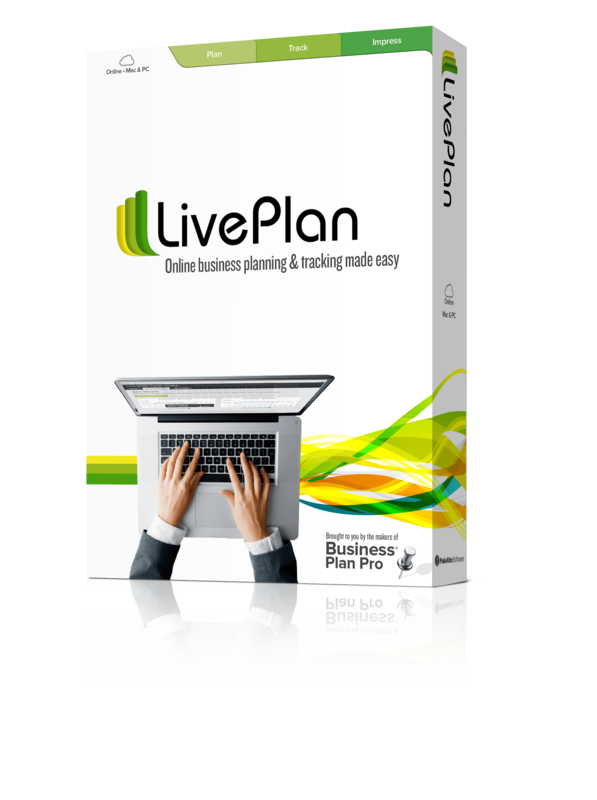 If they want to get serious about a lean plan, they can also get LivePlan, from liveplan.com, check out some articles on Bplans for free any time. Tim, the ideas that we’re talking about here, they seem a little conceptual. Are we talking about a strategic plan? Are we talking about actually executing on this? How do the two meet? Where do you get from the ideas of what you want to get to versus how you actually get there? Tim: Yeah. Let me make that specific with some recommendations that I’ve drawn out of my years with business planning. What I think just about every business needs, that ought to be in a lean plan. I’ll start with the overview. It’s strategy, tactics, specifics like milestones, and the forecast that you’re going to run plan versus actual. There’s four things. Can I go through each one? Peter: Sure. That’s STSF? Jonathan, do you want to pronounce it? Jonathan: Let’s bypass the acronyms. STSF. Peter: Okay, good. Great, memorable. Thank you for that. Jonathan: No, it’s impossible. It’s just a noise that comes out. Tim: Strategy. What’s strategy? Real world strategy, not the whole academic stuff. Strategy, for me, is focus in three dimensions. The first is identity. How are you different? Strengths and weaknesses, stuff like that. You’re not just a restaurant, you’re a Thai restaurant with organic food. You’re not just a website, you’re the website about this for people who have this in common. That identity stems from the identity of the founders usually: the core culture, the core competency. There’s a lot of jargon in there, but you know what I mean. That’s identity. The other thing is market. That’s two of three. Market. Who is your target market? Who isn’t your target market? If you’re the Thai restaurant with organic, then is your market couples, higher income, students, whatever? That’s the second part of strategic focus. The third is business offering, product or service. If your restaurant is going to be for upscale occasions for people, and it’s fine food, and it’s farm to table or local, the product you offer has to match the promise you make and the people to whom you’re making the promise. I’d say strategy, simply put, is those three concepts. In all cases, it’s focus. For the strategy part of a lean business plan, write a few bullet points. Because what happens, and we’ve all been there, is the entrepreneur, we want to do everything for everybody. That’s our instinct. “Oh, you want drive through? Well I’m going to take that fancy sushi restaurant and add drive through to it.” We want to do everything. But if our lean plan serves with just a few bullet points, this is not elaborate text, this is not description, it’s just our reminder, “That’s not our focus.” Then that will help us later to make the decision. Maybe we’ve come up with a great new idea to expand into a contiguous market, and maybe we’re just trying to please everybody, which is the secret to failure. There’s strategy. I’m talking about a page, maybe, of bullet points as a reminder. Peter: A strategy. That’s sound good. That’s one of our answers, right Jonathan? Jonathan: Yeah. What’s the next one? I forget. Peter: I think it was S…T. I like tactics as a second part of a lean business plan because that gets you thinking about alignment. Tactics are basically another list of bullet points, but your tactics are going to be what, decades ago in the elaborate business plan, was the marketing plan, or the product plan. Tactics are going to be pricing, conversion strategies, SEO, launches, features and benefits. Tactics will be what I really need to do in the day to day to make that strategy happen. Peter: That’s interesting. In the Thai restaurant example, a strategic point might be, “We are going to be competitive on price. We’re going to be the cheapest in town.” But it’s not really strategic to say, “We’re a Thai restaurant that’s reasonably priced.” You have to have something else. Like you said, some aspect of your personality, your DNA, what makes you unique in that section. Tim: There’s where you have tactics. You just blew up my high end Thai restaurant into a low end Thai restaurant. Notice how the tactics would be different. If you’re a high end Thai restaurant, then tactics have to do with pricing, sourcing menu items. The same for the low end. The low end has daily specials. Where they’re advertising, and what they’re advertising, might be different. The tactics for the low end Thai restaurant might include a lot of discounts in the newspaper. Whereas for the high end, you’re not discounting, because that brings in a different crowd. You’re working on reviews, etc. You see how those have to align? Your tactics are the specifics of pricing, and channels, and what you’re delivering, what’s on your menu. The strategy is the overall. With a lean plan, strategy and tactics. Tactics are also just a page or two of bullet points. We’re not writing for outsiders, are reminders. In doing that, it’s going to help us keep those in alignment. Peter: All right. There’s a little bit of a chicken and egg problem. Is that fair to say? What if I’ve got a bunch of tactics, but I’ve never thought strategically. Or I think I have a very clear idea of my strategy, and sometimes the tactics start to fall out of line with it. Which one has to adjust? Do we meet in the middle? Is it a negotiation? How do we figure that out? Tim: Peter, there you have why we take the time to write down our lean business plan in bullets. There you have it. Because as business owners, we’re all going to do the same. We’re thinking strategy and tactics when we’re alone in the car, in the shower, whatever. This is the stuff, if we didn’t like this and weren’t thinking about it, we wouldn’t have started the business. We’re all doing this. There comes the planning. Because in the process of writing down a few bullets for strategy, and writing down a few bullets for tactics, what happens is normal humans will think of them in conjunction, will think of them working together. The mere thing of writing it down, not to mention, we’re going to do review and revise once a month, but just writing them down gets us thinking about how they relate, and does this tactic make sense for that market and that business offering? That’s part of the reason that we still want planning if we’re going to do what we can to get the most out of our business. Jonathan: Okay, that’s strategy and tactics, kind of go hand in hand. What was next in the list? Tim: Concrete specifics, which are really milestones. You just need milestones, because we’re human. You need to be able to look far enough ahead to say, “Okay, if we’re going here, we’ll be able to be at that point six months from now.” That’s part of progress, that’s part of the way we work. Of course, what that point is depends on your business. It might be the next version launch, it might be the next item in your bakery that we were talking about, it might be a new location for the restaurant, it might be another website, or a new take, or a relaunch, or what have you. Milestones help us turn business planning from theoretical wanderings to specifically. You’ve got milestones, you’ve got assumptions. You really want to have metrics or measurement, which I think is one of the real areas for good creativity and management. It’s not just sales in dollars and expenses in dollars. It’s trips, it’s calls, it’s presentations, it’s closes, it’s how many people have been served, how many people walked in, where’s your placement in Google. Business is full of things that you can put in your plan to help the people who are charged with execution. See when they’re doing well, and worry a little bit when they’re not doing well. You need those things, and people like those things too. The measurements, the internal measurements, particularly when they’re objective and not subjective. I go in every morning, and if I have more Twitter followers, then cool, I’m doing my job. If I have fewer Twitter followers, I’m not. There’s an objective measurement of something. Jonathan: Is it possible, and maybe you have some common milestones that people put up, that are actually not helpful milestones? They may look like milestones that are worth going for, but when you actually go to them, you realize that didn’t objectively help the business. Tim: Oh yes. I’m grateful for that question, because it gives me a chance to point this out. They have to be concrete, and specific, and measurable. The world of business planning over decades has been full of the non-measurable, hypothetical, useless milestone. “We want to have the best customer service in the world.” Okay, great. How are you going to measure that? As opposed to, “We want to have resolutions at 0.95 of calls,” or something like that. Or, “Our customer service, we want to do something with returns.” If you can’t measure it, it’s not really useful for management. Milestones have been traditionally full of this stuff, that actually it sounds good, “Be the best,” and all that stuff. If you can’t measure it, it’s useless. Peter: That’s great. Jonathan, are you ready for the F word. Jonathan: Fail? Wait, that was the other episode. Peter: Did we do that already? Jonathan: Yeah, we did. Is this another F word? Peter: This one’s, I think, scarier for some people, maybe than failure. I’ll tell you, for me, personally, financials is not a happy place for me. Jonathan: Yeah, that’s where I start to see my eyes glaze over. Peter: Yeah. I like to make it easier by having someone else do it. Is that fair? Jonathan: I think it’s fair. I’d like to see other people do it for me. Peter: You agree with my lifestyle? Peter: Tim, what does a person like me, what does a person like people out there, they get scared, their stomach turns when they see those financials, those P&Ls, not their favorite thing. How do we deal with this F at the end here? Tim: Forecasting helps management, and is not scary if you understand that it’s educated guessing done well, with assumptions that tie things together. The business owner who knows her business is a better forecaster than the fanciest, most sophisticated, econometric PhD forecasts that have ever been done. Secondly, the use of it isn’t some theoretical guess the future, it’s because you’re going to manage. You go through your sales forecast, not just wild guessing as a percent of market share, but, “Okay, we’re going to have this many stores, we’re going to have this many units per month per store.” You go through your sales forecast, you break it into assumptions, with the confidence that you’ll be wrong. All business plans are wrong. All forecasts are wrong. We’re human, we’re predicting the future. You can’t have the correction system without having the financial forecast. The forecast doesn’t have to be hard. You don’t have to be CPA or MBA. You have to flow through a set of assumptions, and take it step by step, and do your lists, and your tables, and just have patience with it. Anybody can do it. If you know how to run your business, you can forecast. Peter: All right. I believe it. I’ll try it. I promise. Jonathan: I’m confident now. I’m going to do it, yeah. Peter: All right. You said something interesting there. This idea of the plan being wrong. The assumption that the plan is going to be wrong in some way, whether it’s the financials, or some of the assumptions about the market at large. I think there’s an interesting metaphorical overlap there. If you look at the Eric Ries book about the lean startup, you have this notion that you’re assuming that the product you put out there is wrong. You’re willing to accept user feedback, because you know that the user, is at some level, smarter about what they want than what you know about them. You’re accepting the concept of being wrong with the plan. It sounds like it’s very critical. The lean plan, it’s critical to have this idea that you might be wrong about some of these assumptions, or some of these assertions about how you’re going to do over a period of time. Is it about releasing the ego? How to you start to accept that even your best efforts will always be a little bit wrong, and just go back to running the business. Any advice there? Tim: Absolutely. My favorite metaphor for this is vacation planning. Obviously, before you leave for the three week trip with the family, you’re going to have some idea about airplane tickets, reservations, seat reservations, the whole thing. But when you go on vacation, you know that it’s not all going to play out exactly as you planned it. You’re not going sweat that. You’re not going to spend too much time planning whether or not you’re going to turn right or left when you get to this street when you’re going to the restaurant in some other town. You’re going to have a good general plan, and you’re going to watch and manage that plan so that you can optimize given conditions. With the business plan, you’re not putting out everything that’s going to happen, no matter what, over the next 12 months. You’re constantly looking to what’s expected, and then you’re watching, and reviewing, and revising, as those expectations fall short or are different. Then you’re managing the difference so you can maintain your trip. If the flight gets cancelled, you know that you had the hotel booked for that night, now you know to call the hotel. It’s dealing with reality. Peter: Interesting. There’s also this element of some of the great American historical business pioneers, all these stories, in the face of odds, against the plan, against all odds, this kind of idea. Is there some merit to believing that you are the most right person, and that your customers are wrong, that all plans are wrong, that all financial forecasts are incorrect? Is there a value to trying that out, trying that hat on? Or is there a balance there? What’s the best way to go? Tim: I think we’re all doing some of that. We are all guessing. The value is in the lean: taking those small steps and analyzing is better than hanging back and suddenly having some big thing. I argue for that, because that’s reality, that’s the way things work. There’s diminishing returns if we take too much time. There’s also chaos if we don’t try to set directions forward, and be able to track what we expected and how it’s different. Peter: It’s interesting. I think for some of the businesses I’ve seen at events like startup weekends, or some of the more like angel investment level conferences, a lot of times the idea is great, the market seems appealing, the experts are there, the company’s all ready. A lot of the times, it’s the finances that really show you. Just a quick financial projection will show you that maybe it’s not actually worth going into business, or maybe that’s why it’s such a good idea, that no one has actually executed yet, because it’s not even that sustainable. Even if you get it up and running, what the market’s going to actually bear is not enough to keep the lights on. As we’ve talked about, the reason these businesses loose out is not being able to generate the cash they need to stay up and running. That’s my personal vouch for the F of STSF. Jonathan: You’ll never get it. It’s never going to sound good. Peter: I feel like that was pretty memorable. Peter: There’s the part with the movie star guest, that we show a clip with the upcoming film. Is that right, Jonathan? Jonathan: Yeah, usually. Most of the time, our movie star guests have some kind of an audio clip. Today, Tim, you’re not a movie star, but you are an author, you are an expert. I think you have a book coming out soon, is that right? Tim: Yes, thank you. It’s titled “Lean Business Planning,” published by Motivational Press. Due out in September. The site for that is called leanplan.com. Peter: That’s great. leanplan.com. Get the book, check out the website. Also, Tim Berry, frequent author for bplans.com, as I’m sure everyone already knows. The founding father, the reason LivePlan exists. A huge guest here today. Jonathan: Yeah. Thank you so much for being on the show. Thank you for being the source for a lot of our podcast discussions so far. We’ve talked through a number of Tim’s articles in our previous episodes. Tim: Okay. Thank you. Particularly the huge guest. Let’s make that huge but lean. Peter: Huge, but lean. Huge in concept, lean in stature. Tim Berry, everyone. Tim: I don’t know about that one either!